Episode 7, Healing & Thriving: Learning How to Heal, Essential Oils, Innovative Diet & Lifestyle Approaches to Autoimmunity, is playing now. • Detoxing? Cleansing? And how to do it right. After you watch, let us know what you think by commenting in the section below the video. Thanks for your participation, and I’ll see you soon. P.S. As we’re now on our final episode, the 60% off early bird offer is soon to close. So act now to take advantage of this amazing deal! Now is the time to jump off the fence and make the decision to own these resources as we don’t plan to offer this again. This is truly a limited time opportunity to take advantage of something that could forever change your life or the life of someone you love. You can make a difference in the lives of those you know and love, perhaps even save a life, just by sharing the information in this docuseries. • You can purchase extra copies and give them as gifts. • Invite your friends and family over and have a screening of Autoimmune Secrets. • With your purchase, you’ll also get an additional copy free that you can share with anyone you choose. You could even give it as a door prize at your viewing party. • Have a discussion after each episode and talk about what you’ve learned and what you’re going to do differently. • Make a plan and hold each other accountable to good health! Learn how to own the entire series here. Right now, the entire series is available at an early bird discount of more than 60% off. Right now is the time to get started because we’ve included so much in our gold and silver packages. We’re about to start our weekly calls with our experts next week, on tuesday at 9pm EST, where you can ask you vital questions! And when you take action today you’ll get the entire package of group calls totally free as a bonus, as our way of saying thank you for supporting us. We’re getting ready to close this group as our series is ending, so please take action today so you don’t miss out. 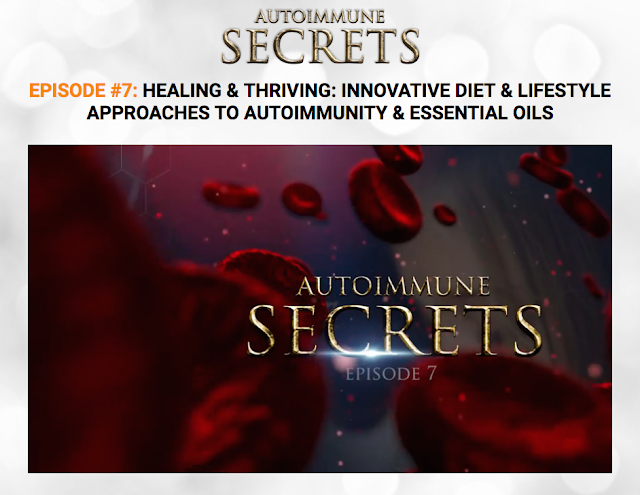 Also, when you choose to own an Autoimmune Secrets package, you help us continue our research, do more interviews and, most importantly, continue sharing this information with the world—for free, just like we’re doing right now. You will have unlimited access to the cutting edge research and compelling stories to help you and your loved ones when you need it. When it comes to your health or the health of those you love, it’s best to be prepared! Help support our mission by owning Autoimmune Secrets.